A celebrity couple splits, a new celebrity baby is born, and another couple gets ready to walk down the aisle. 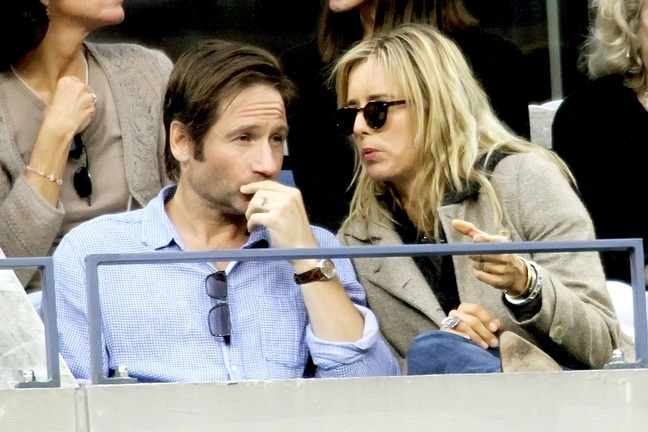 David Duchovny and Tea Leoni have decided to separate. They have been married for 14 years and share two kids – Madelaine, 12, and Kyd, 9. They took a brief break back in 2008, but reconciled a short while later. No word on whether they plan to divorce. Tia Mowry and Cory Hardrict welcomed a baby boy yesterday morning. He weighed in at 8 lbs, but no other information was shared at this point. Tia is filming a new reality series with her twin sister Tamera and the pregnancy and birth will be part of the show, which airs this summer. Congrats to the new parents!